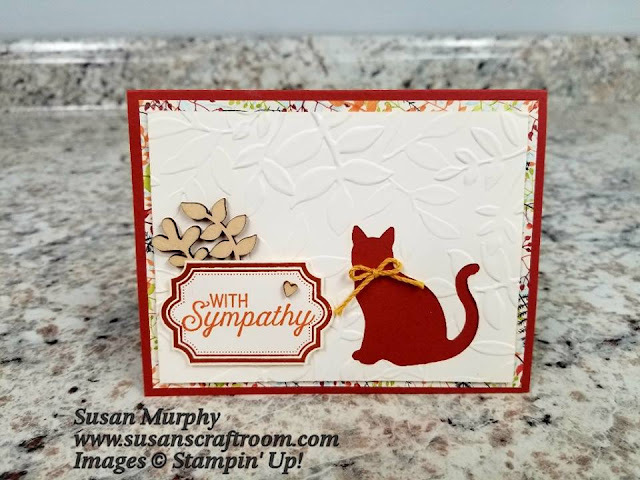 Today we will be featuring products from the upcoming Stampin' Up! Holiday Catalog. All products will be used to make projects that are NOT holiday oriented. This is a great opportunity to get ideas for year-round use of products that are usually used for the holidays. It's a great way to stretch your dollar! My daughter recently lost one of her cats to illness. He was the first cat that she adopted as an adult that was solely hers. She called him her "first son". He was a wonderful loving boy. When I saw the Cat Punch in the Holiday Catalog I knew it would be one of the items on my pre-order. 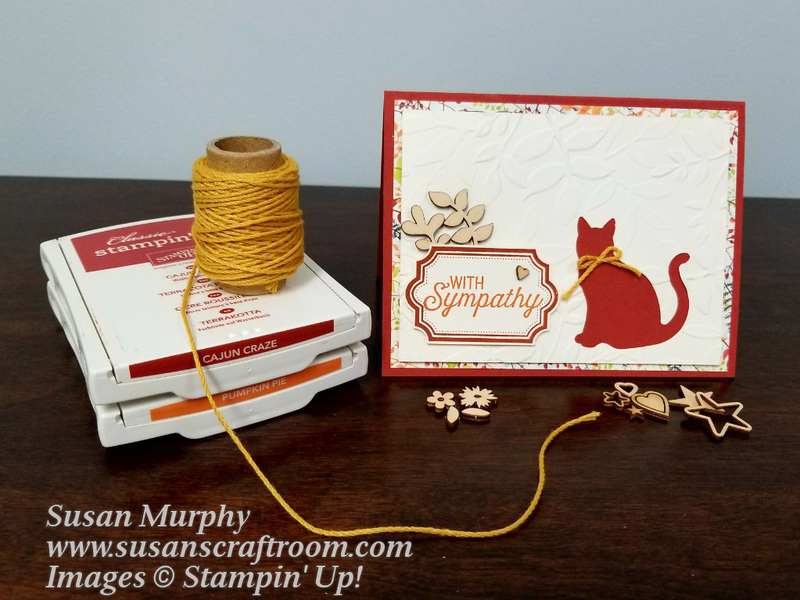 There are 4 NEW PRODUCTS from the Holiday Catalog used in this card! Information for additional products used is listed at the bottom of this post. Painted Autumn Designer Series Paper: 5 1/4' X 4"
Adhere a heart from the Hearts & Stars Elements to the front of the sentiment using Multipurpose Liquid Glue. Use the glue to adhere two of the leaves from the Touches of Nature Elements, slipping the stems behind the sentiment piece. 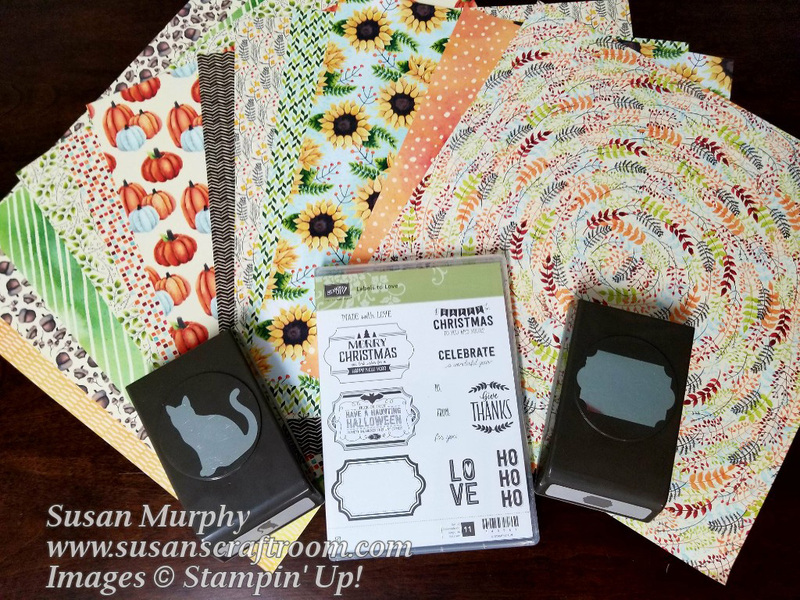 I am Susan Murphy and you are at Susan's Craft Room. The list of other blogs on the blog hop are posted below. You can click on a name to go to that particular blog.